As you probably know, an auto dealer auction can be a great place to buy an affordable car. Just make sure you keep these four rules in mind. You may be a bit nervous about the first time you go to an auto dealer auction. This is understandable. One of the best things you can do to help settle these nerves (which will, in turn, help you make better decisions) is to just go to one without any intention of placing a single bid. Doing so will help you understand what to expect in the future. It will also go a long way toward adjusting your expectations and informing your budget. 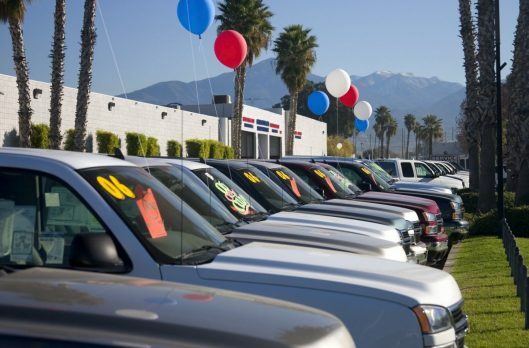 Given the nature of an auto dealer auction, it can be really easy to go over budget. Chances are good that you might find a vehicle you really like and then, once the bidding starts, forget common sense and end up overpaying. The way around this is to first come up with a budget. Consider your financial situation and figure out the most you could possibly spend without feeling any pain. Then, of course, you need to stick to it. If you’re worried, bring a friend or spouse who can keep you accountable. Many vehicles at an auto dealer auction are going to need some kind of repairs. It might even be the vast majority of them, but that’s no reason to give up on the concept altogether. Instead, you just have to be smart about your purchase. Figure out exactly what the vehicle will need to operate and then look up the costs. You’ll probably even have enough time to call a local mechanic and ask them for a quote. When you consider how unbelievably low-priced these vehicles are, you can still save a ton of money even after repairs are done. We’re big fans of recommending the Kelley Blue Book app to people. It makes it really easy to find out just how much a car is worth. That being said, the more you know about cars, the better you’re going to do at a dealer auction. One option is to increase your own knowledge by doing research before ever going to an auction. If you have a general idea of the type of vehicle you want, this will help as you can simply research that specific type. However, another great option is to simply bring along someone who already understands cars and ask them to help. Either way, ignorance may be bliss, but it can also be very, very expensive at a car auction. Of course, if you’d rather have somebody else do all the heavy lifting for you, we’d be happy to step in. At Auto Auction Mall, our agents work with clients to figure out their needs and then do the bidding on their behalf. We have access to auctions all around the country and will stick to your budget so you’re ecstatic with the vehicle you win.